Robert F. Herrmann is the Chair of the firm's New York Construction Law Practice. He represents design professionals, and other construction-related firms, privately held businesses, and New York City housing cooperatives and condominiums. He acts as general counsel to a number of architects, landscape architects, interior designers, lighting designers, engineers, owners, developers, and contractors, advising them on general business matters and representing them in litigation, arbitration and mediation. 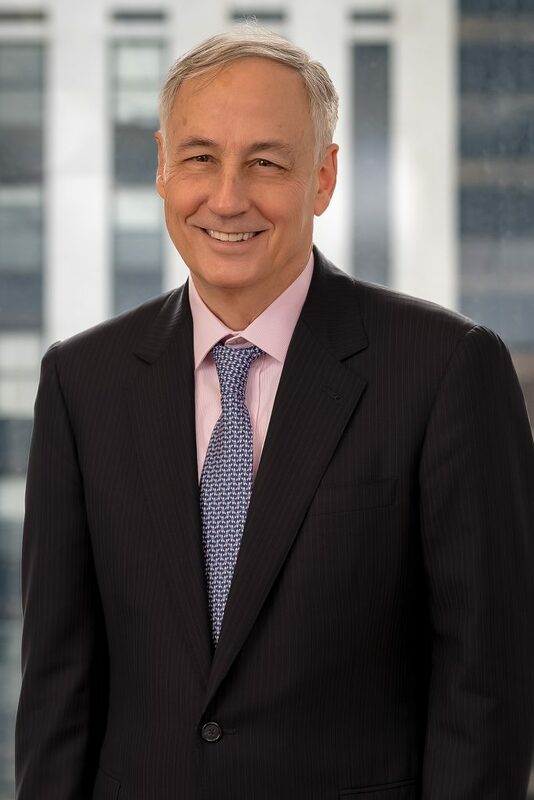 Prior to joining Offit Kurman, Bob was, for thirty-four years, the managing partner of the New York City law firm of Menaker & Herrmann, where he advised a number of the most prominent architecture and design firms in the country. Bob is a graduate of Yale College and Columbia Law School, where he was a Harlan Fiske Stone Scholar. He clerked for Judges Harold R. Medina and Sterry R. Waterman of the U.S. Court of Appeals and began his private practice career at Hughes Hubbard & Reed. He is a member of the Professional Practice Committee of the American Institute of Architects, New York Chapter. He is trained in mediation and is on the American Arbitration Association panel of construction mediators. He also serves as a mediator for the New York State Supreme Court, Commercial Division. Bob is an Adjunct Professor at the Columbia University School of Architecture, Planning and Preservation where he teaches Advanced Professional Practice to third year Masters students. He has also led numerous seminars for design professionals on a variety of topics. Speaker on Risk Management at National Council of Architectural Registration Boards Scholars in Professional Practice Conference in Washington D.C. Presented with John Rusk of Rusk Renovations Inc. a talk on “Controlling Risk for Architects” at the Institute of Classical Architecture & Art. Delivered the Eugene J. Mackey Jr. lecture at the Sam Fox School of Design & Visual Arts at Washington University in St. Louis co-sponsored by the School of Law. Delivered talk entitled “Managing Risk When Negotiating an Agreement with Your Client” at the Annual Society for Design Administration Symposium in Nashville, Tennessee. Has taught Professional Practice classes at City College School of Architecture, the University of Pennsylvania, Parsons The New School for Design, Pratt Institute, and New York Institute of Technology. Participated as a panel member in a program sponsored by the Professional Practice Committee of the American Institute of Architects, New York Chapter entitled “Professional Liability and Management Issues for New Consultants”. Participated as a panel member in numerous programs at the New York Chapter of the American Institute of Architects. Topics include risk management, contract negotiation, ownership transition and dispute resolution. Author of Law for Architects: What You Need to Know. Author of Legal Dimension of Practice and Regulatory Agencies’ Role in Control of Design and Practice of Architecture: Managing Risks and Liabilities for Architects chapter in The Routledge Companion for Architecture Design and Practice.